This one time there was this food truck that came to Santa Fe for just one day and they just had waffles and they were the most delicious thing. They were these crispy, sweet waffles of perfection topped with cookie butter, sliced strawberries and whipped cream. Our family went to check them out and we all loved them. The biggest thing to come from this waffle truck experience was that my husband kept pestering me. For months he was saying things like: “You knew about this cookie butter stuff?! Why didn’t you tell me about it?”, or “You should make something like that”, or “Where did you say we could get cookie butter?”. Yes, he might have become slightly obsessed with cookie butter. But because we were moving and I was completely slightly stressed I didn’t have a chance to even think about this until we were all moved. And since now we were in the land of the humid, hot summer the first thought was ice cream. Plus we really love ice cream. I know that it sounds weird to put waffles in ice cream, but these are no regular breakfast waffles. They’re dessert kind of waffles. And then you add the cookie butter and the strawberries and mix it all with ice cream! We’ve got a Cuisinart Ice Cream Machine and we make ice cream a lot. 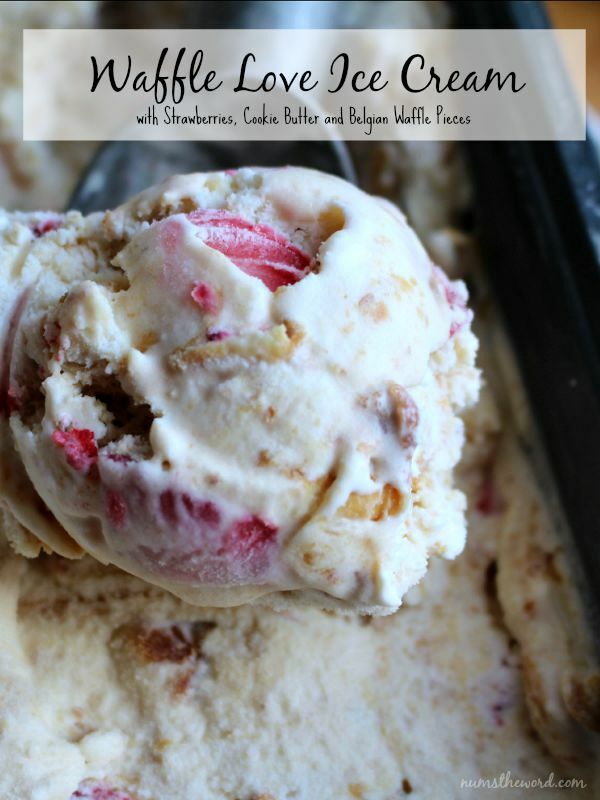 And this waffle love ice cream is another one of our most favorites. We will for sure make this lots. Basically whenever we make and will inevitably have leftover Belgian waffles. To make sure they’re a bit more crispy for mixing into the ice cream, I let them stay in the waffle iron a bit longer than usual. If you love ice cream, waffles, strawberries & whipped cream, then you MUST try this waffle love ice cream, perfect for any waffle lover! Use a hand mixer or a whisk to combine the milk and sugar until sugar is dissolved. Turn ice cream maker on, and pour chilled mixture into freezer bowl and let mix until thickened according to machine instructions. In the last few minutes of turning, add the strawberries. The less you mix, the more intact the strawberries will remain. If you want complete pieces, don't mix too long. I personally like it mixed in a bit more so that there aren't too big of frozen strawberries when it's all done. 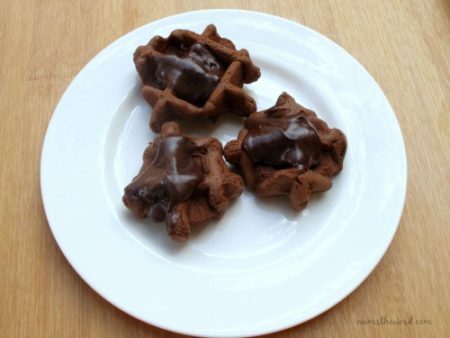 Stir in the waffle pieces, then place in a medium container, cover and place in the freezer for at least 30 minutes. Once the ice cream has had time to solidify a bit more, get your cookie butter or Biscoff ready by placing in a microwave safe bowl and heating for about 20 seconds so that it will spread better. Take the ice cream out of the freezer and uncover. Pour the heated cookie butter over the ice cream and gently fold it in so that you get a nice swirl of cookie butter all throughout the ice cream. Cover and place back in the freezer until firm as desired (ice cream machine instructions should give you an idea how long. 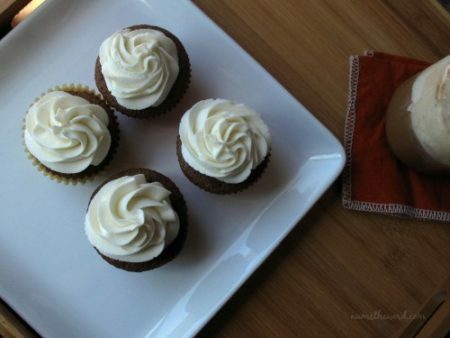 We’ve made these Root Beer Float Cupcakes several times with great results! 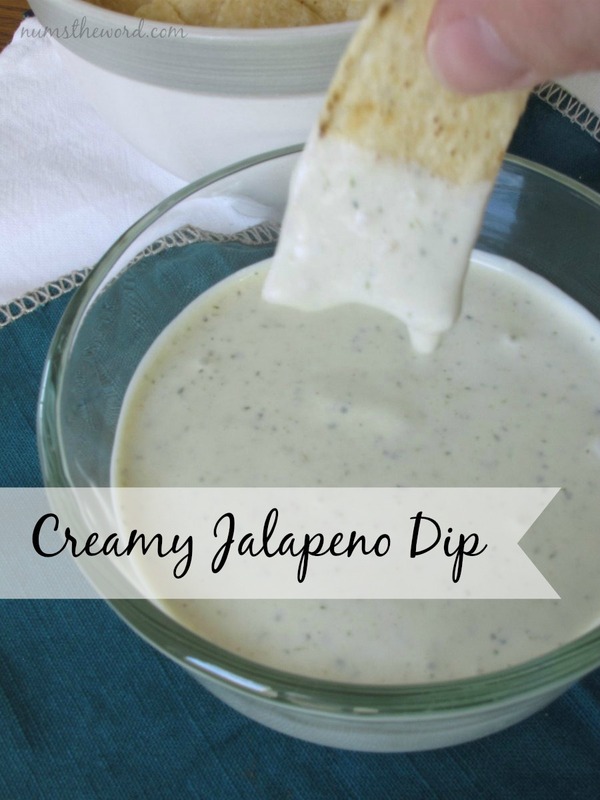 Everyone loves them, especially the frosting that actually has vanilla ice cream in it! 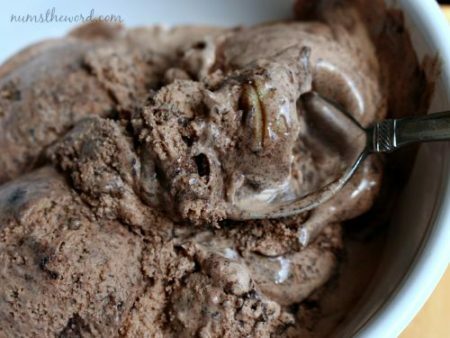 This Cookie Supreme Ice cream has both chocolate & peanut butter! Plus cookie dough & an Oreo cookie fudge swirl. Basically something you’ve got to try!